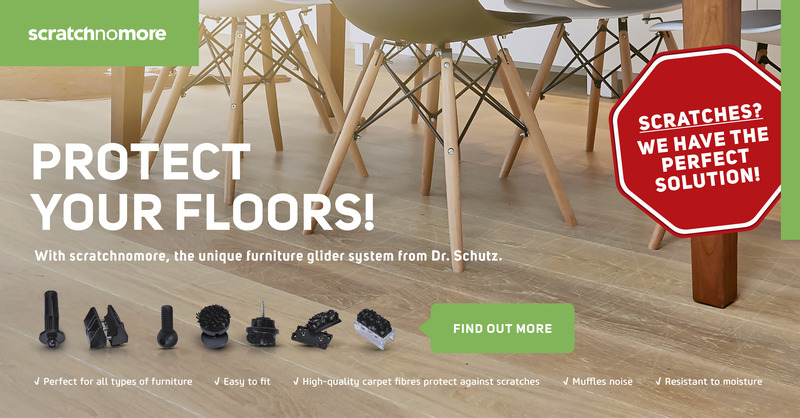 For almost 60 years Dr. Schutz has been the leading brand in Europe and the world for protecting and maintaining all types of floors. Whether you are a flooring professional or retailer, a maintenance specialist or end user, Dr. Schutz offers you the best solution for your floor requirements. How do we develop, test and package? A lot happens between the initial idea and the finished product. Take a look at our production, research, logistics, and training center in Hessisch Oldendorf. Pioneering innovations, along with the continuous improvement of existing product systems are the central focus of our research and development work. Thereby quality and safety of application play as important a part as sustainability and protection of the environment. Before a new product system reaches its market maturity, it is examined thoroughly by the technical application department prior to being released. At the same time new floor coverings are constantly being tested to support our partners in the industry and trade. Professional training and further education are the foundation for a successful future. In our academies in Hessisch-Oldendorf and Bonn we offer modern training courses for professionals and retailers alike. Simply have a look at our current seminar programme. In order to protect millions of m² every year, all the teams in our factory have to plan precisely and coordinate their procedures. From purchasing high quality raw materials to production and dispatch, a great deal of effort and care is often necessary, in order to ensure that every Dr. Schutz product arrives punctually at its destination and in its usual high quality. Service and advice are at the heart of the partnership with our customers. Our representatives are always happy to support our partners in the trade and services with help and advice, whether on the phone or in person. In addition, end users can call our Service Hotline at any time and receive advice about their questions concerning floor maintenance and renovation. Alongside the partnership with flooring professionals, retailers and others, the Dr. Schutz Group has for decades fostered the close cooperation and exchange of ideas with the leading manufacturers of the flooring industry. The aim of this cooperation is to match the most modern care systems with the latest floor coverings. This establishes trust and certainty for our partners and their clients, who can rely on the goods and services we promise. To guarantee safety and quality at all times, the product systems of the Dr. Schutz Group are regularly tested and certified by leading national and international institutes.